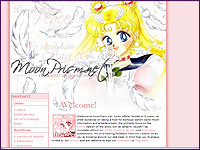 Here are some Mamoru-related linkware layouts you can use for your site. Do not remove the credits that the original designer of the layout placed on it, they are there for a reason. 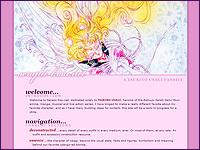 This layout features the Shitennou and the Sailor Senshi from the famous manga artbook picture. It was created by Veve. Click on the thumbnail to preview the layout and when you're ready, click here to get the ZIP file. 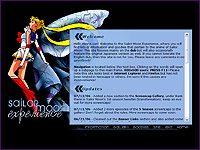 This layout features the Shitennou, Mamoru's guardians from the Silver Millenium. It was created by Veve. Click on the thumbnail to preview the layout and when you're ready, click here to get the ZIP file. 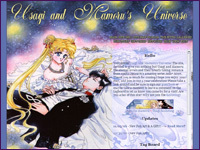 This layout features Mamoru with a small hint of his guardians, the Shitennou, in the background. It was created by Veve. 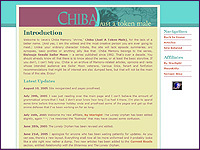 Click on the thumbnail to preview the layout and when you're ready, click here to get the ZIP file.